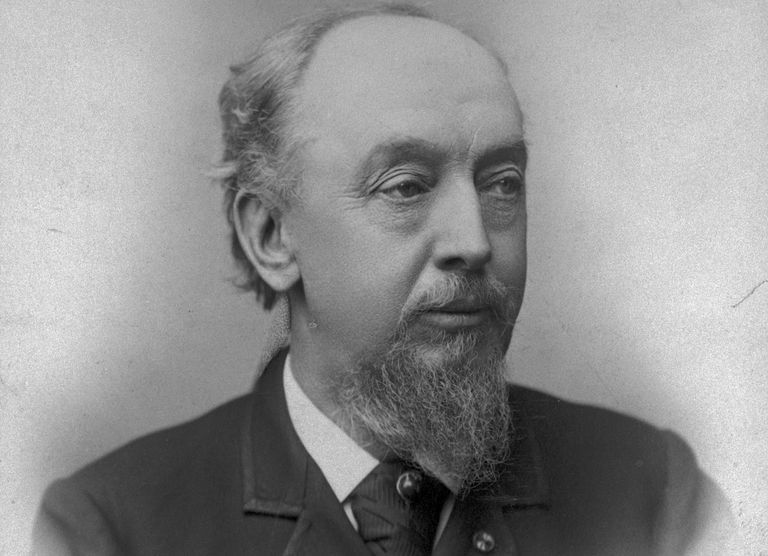 Famous for his large commercial buildings, William LeBaron Jenney helped launch the Chicago School of architecture and pioneered skyscraper design. Note that except for Olmsted, Jenney (1832-1907) was about 15 to 20 years older than these other influential architects and planners. Part of Jenney's importance in architectural history—an element of every architect's legacy— is his mentorship of others. Born into a family of New England ship owners, William Le Baron Jenney grew up to become a teacher, engineer, landscape planner, and pioneer of building technologies. During the Civil War he and fellow New Englander Frederick Law Olmsted helped engineer better sanitary conditions for the Northern troops, an experience that would shape most all of his future work. By 1868, Jenney was a practicing architect designing private homes and Chicago parks. One of his first commissions was interconnected parks—known today as Humboldt, Garfield, and Douglas parks—designed in the manner of what his friend Olmsted was doing. Working in Chicago, Jenney designed West Parks, where tree-lined boulevards connect an extensive system of connecting parks. Jenney's residential architecture was similarly designed, as a series of interconnected rooms within an open floor plan—free, roaming, and connected like the West Park System. The Swiss Chalet style Bowen house is a good example of this type of architecture, which was later popularized by Frank Lloyd Wright (1867-1959). In addition to his building designs, Jenney made a name for himself as a town planner. With Olmsted and Vaux, he helped create the plan for Riverside, Illinois. Jenney's greatest fame came from his large commercial buildings. His 1879 Leiter building was an experiment in engineering, using the popular cast iron and masonry to support large exterior openings filled with glass. Again, natural light was as important an element in Jenney's tall buildings as it was in his designs of park systems. The Home Insurance Building in Chicago was one of the first buildings to use a new metal, steel, as a skeleton for support. It became the standard for American skyscraper design. Jenney's skeleton-frame Manhattan Building was the first to achieve a height of 16 stories. His Horticultural Building was the largest botanical conservatory ever built. Student draftsmen who learned from Jenney included Daniel H. Burnham, Louis Sullivan, and William Holabird. For this reason, Jenney is considered the founder of the Chicago School of architecture, and perhaps the father of the American skyscraper. Architect of "Form Ever Follows Function"
How's That Rybczynski Book About Olmsted?